Loch Ness is without a doubt one of the most famous, most visited, and most photographed tourist attractions in the whole of Scotland. 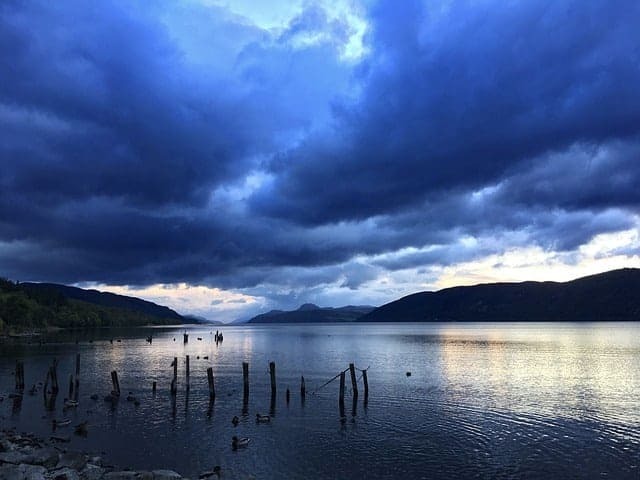 Not only is there an abundance of wildlife living both in the loch and along its banks, but there’s a rich history to be discovered thanks to famous locations like Urquhart Castle and the city of Inverness. There are lots of pretty villages dotted along its 23-mile length including Fort Augustus on the southern edge (which is a favourite stopping-off point with tourists looking to explore the loch), and many sight-seers try to spot the elusive Loch Ness monster as they stand on the shoreline. But the best way to enjoy Loch Ness is to take one of the many cruise boats that sail up the loch daily and soak up the atmosphere of this ethereal body of water. Although Ness isn’t the largest loch by surface area (that crown goes to Loch Lomond), thanks to its 230m depths it is the largest by volume, a fact which has supported reports that the monster is able to evade capture by hiding deep at the bottom of freshwater crevices. In fact, Loch Ness is so large that it contains more fresh water than all the lakes of England and Wales combined. Tourists wishing to explore the loch can take advantage of frequent cruise boats which ferry passengers up and down the body of water, while walkers can enjoy the many popular trails that run along the water’s edge, such as the lovely Fort Augustus Heritage Trail. 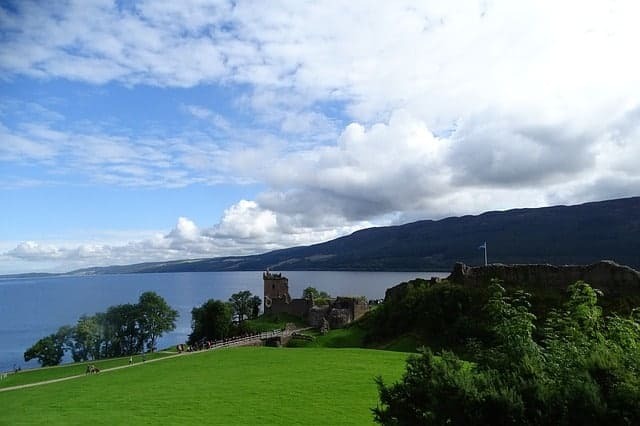 History fans will enjoy stopping off at the 13th-century Urquhart Castle on the western edge of the loch, where fantastic views across the water can be enjoyed while exploring the ruins of one of the largest medieval fortifications in Scotland. Moving further north you will come across Inverness, often referred to as the capital of the Highlands, where visitors will find the beautiful River Ness that eventually feeds into the dark, peaty waters of the loch, as well as the mighty Inverness Castle. The many rivers that flow into and out of the loch are an integral and much-enjoyed part of the Ness experience, with the Rivers Ness and Oich being particularly popular with tourists. 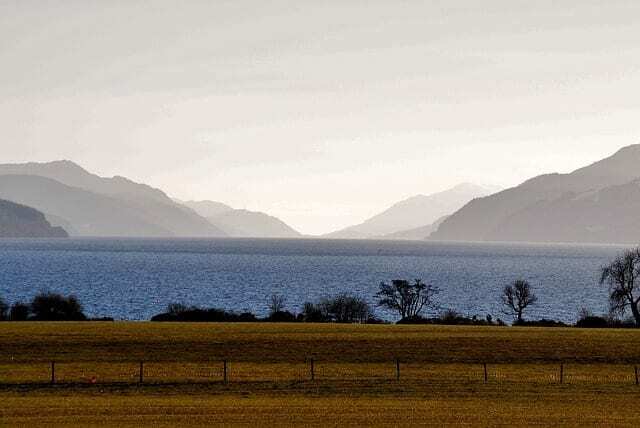 One of the most popular sailing routes in Scotland can be found here with sailors frequently passing through Loch Ness as they tour along the Caledonian Canal, the 60-mile waterway that runs from Beauly Firth on the north-east of Scotland to Loch Linnhe on the west coast. Fisherman keen to catch some of Scotland’s largest fish will find several species living in the water of Loch Ness, with the famed Scottish Atlantic Salmon living alongside Brown and Sea Trout, Perch, Roach and Char, while golf enthusiasts will find the nine-hole course at Fort Augustus to be one of the most challenging in Scotland, and its spectacular location in the Great Glen makes a visit more than worthwhile. Loch Ness extends for 23 miles south of Inverness and there are plenty of locations from which to explore it. Perhaps the most frequently visited entry point is Fort Augustus at the southern-most end. Fort Augustus can be found on the A82, at the head of Loch Ness in the heart of the Highlands. It is 33 miles from Fort William and 34 miles from Inverness. From Glasgow take the A82 via Crianlarich and Fort William to Fort Augustus – 132 miles. From Edinburgh take the M90 to Perth, the A9 to Dalwhinnie, the A86 to Spean Bridge and the A82 to Fort Augustus – 157 miles. From Aberdeen take the A96 via Nairn to Inverness, then the A82 to Fort Augustus – 141 miles. 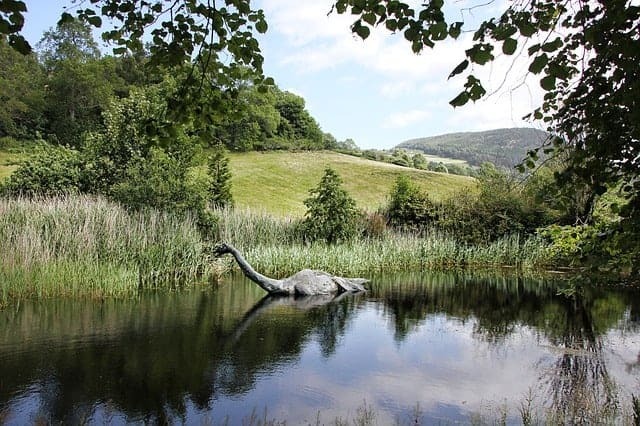 Loch Ness is open year-round and has no entry fee. 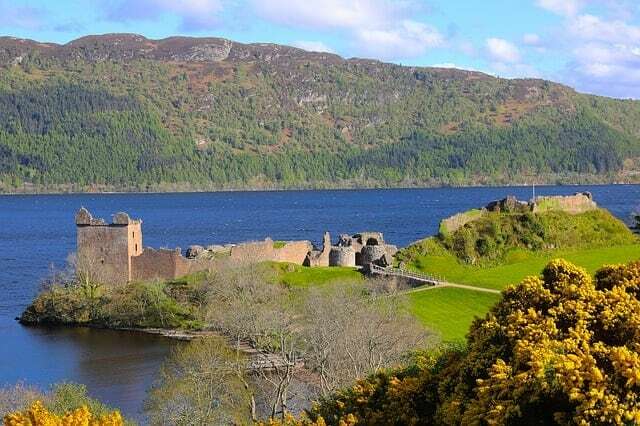 Some tourist attractions such as tour boats and Urquhart Castle have their own operating times and prices.